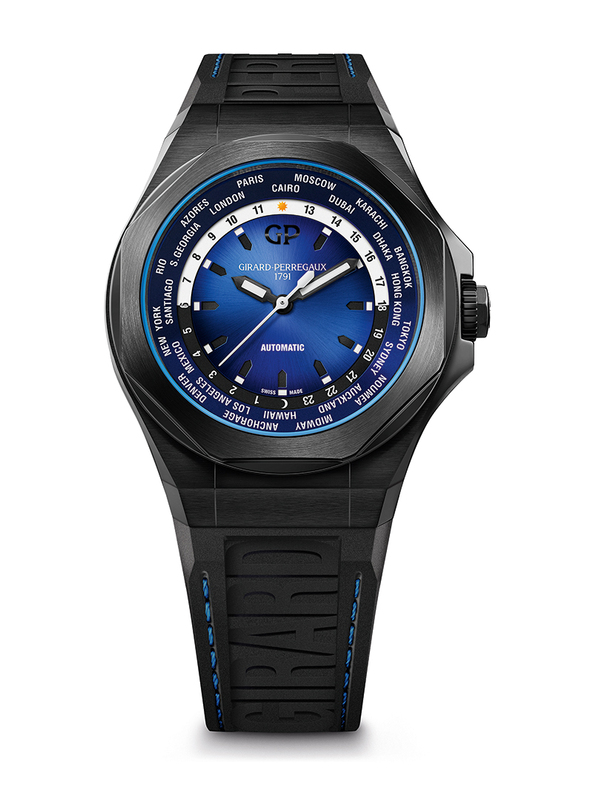 REVIVING the mid-1970s-era Laureato in 2017 proved to be a great move for Girard-Perregaux; the model brought the brand newfound swagger in the always-popular luxury sport watch segment. 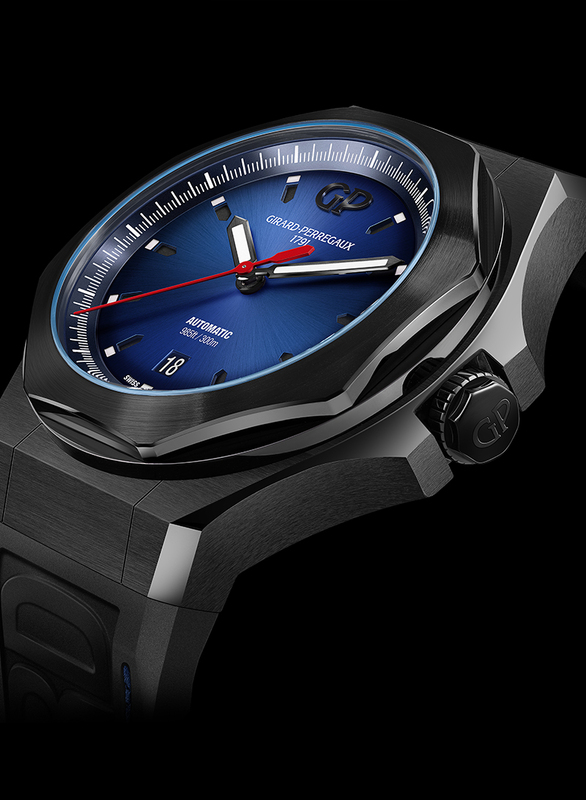 At the 2019 Salon International de la Haute Horlogerie, Girard-Perregaux raised its stakes in the game as it unveiled the new three-piece Laureato Absolute collection, now riding on the company’s “Earth to Sky” theme. 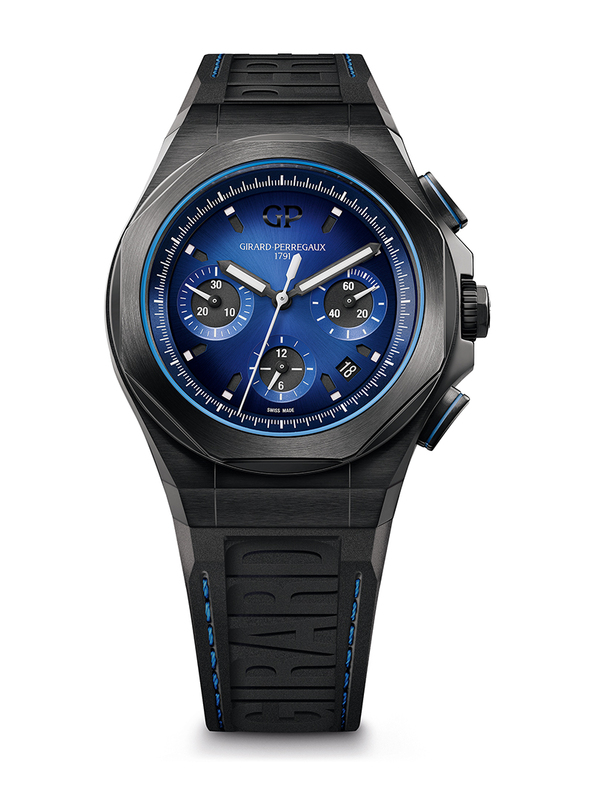 The new watches aren’t timid wrist statements, too. 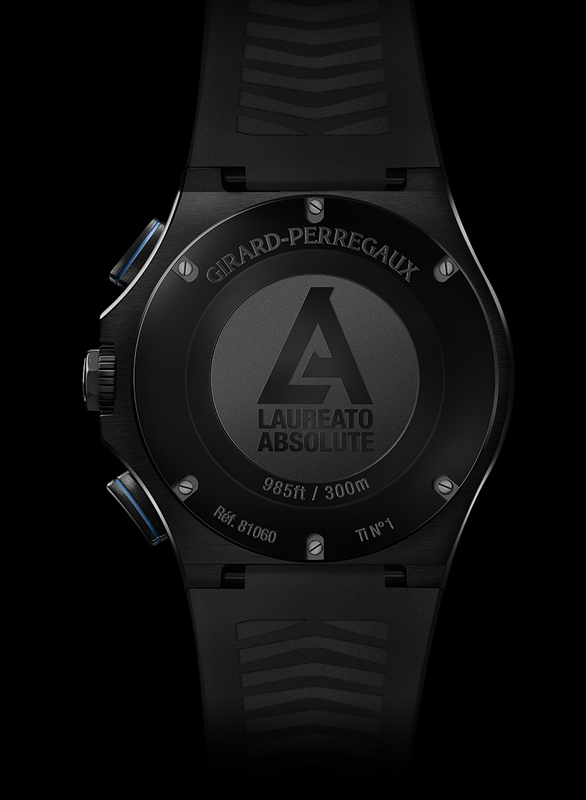 They wear 44-miliimeter cases that look even more imposing because of their black finish and integrated black rubber straps. 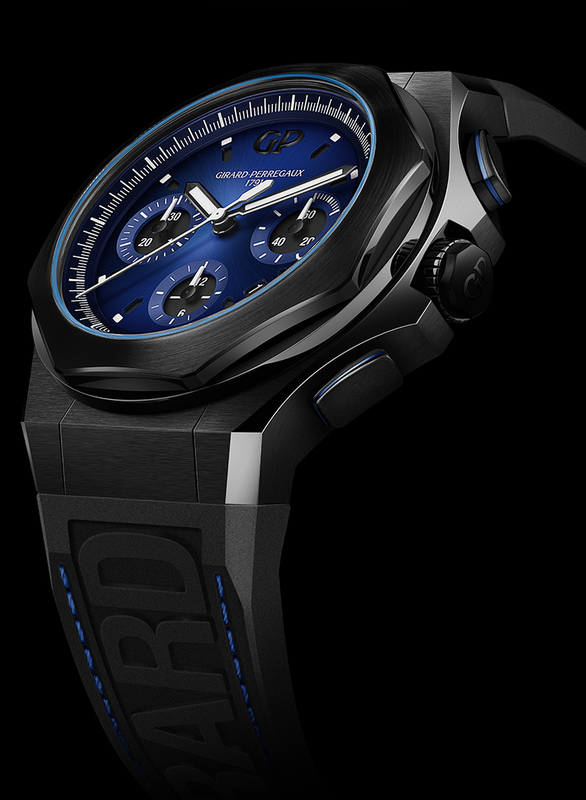 The heft is purely visual, though; the cases (with a water-resistance rating of 300 meters) are made from PVD-treated titanium. So, physically, they’re light. 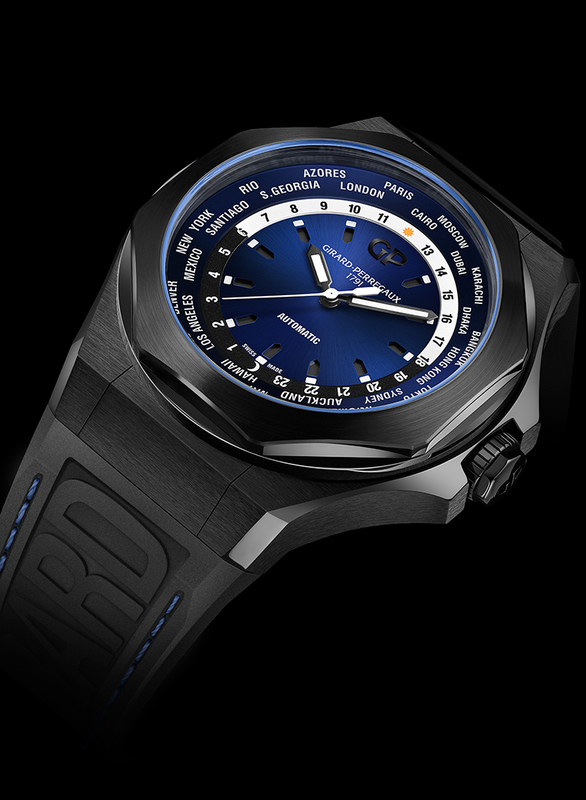 Surely, besides visual heft the other bold move for the new Laureato Absolute range is that all are powered by an in-house ticker, with each one — Laureato Absolute, Laureato Absolute Chronograph and Laureato Absolute WW.TC — distinguished by its function. 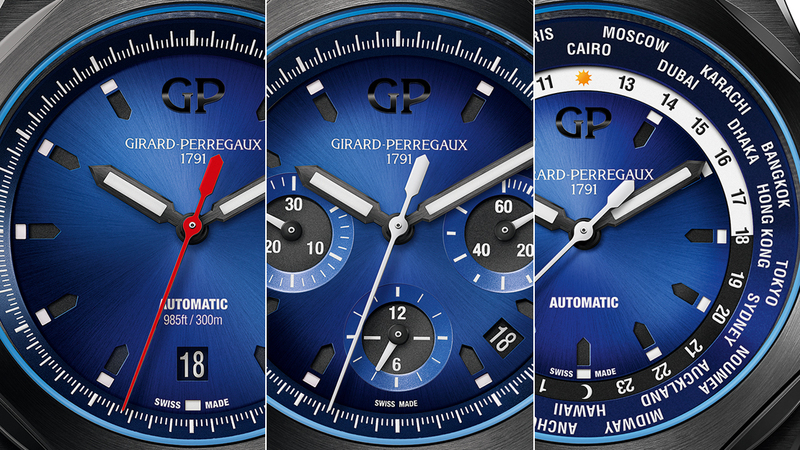 Common among the three models are their sunburst dials, which come in a vibrant blue hue that turns darker, until they go completely black, at the edges. A white inner bezel ring, which has luminescent accents and which resides beneath a sapphire crystal cover, creates the illusion of depth for the matte black hour markers. Yes, the palette stands for the blackness of space, the blueness of the sky. The theme is Earth to Sky, remember? Complementing the noir vibe of the cases are injection-molded rubber straps embellished with “Girard” and “Perregaux” markings. The three-hand Laureato Absolute, adorned by a red second hand and baton hour and minute hands, has a 27-jewel self-winding movement that spins at 28,800vph and packs a 46-hour power reserve. In Laureato Absolute Chronograph form, the watch gets really sporty, thanks in part to redesigned pushers that are now more angular. Their curved surface, highlighted by a blue border, means they are easier to use, too. Powering this model is a self-winding 63-jewel (count ’em) calibre oscillating at 28,800vph and which has a 46-hour power reserve. The “WW.TC” tag in the Laureato Absolute WW.TC identifies this piece as carrying one of Girard-Perregaux’s best-known complications — the world wide time control movement. Though losing the chronograph function of some earlier renditions, this complication is still a welcome debut feature in the Laureato Absolute line. 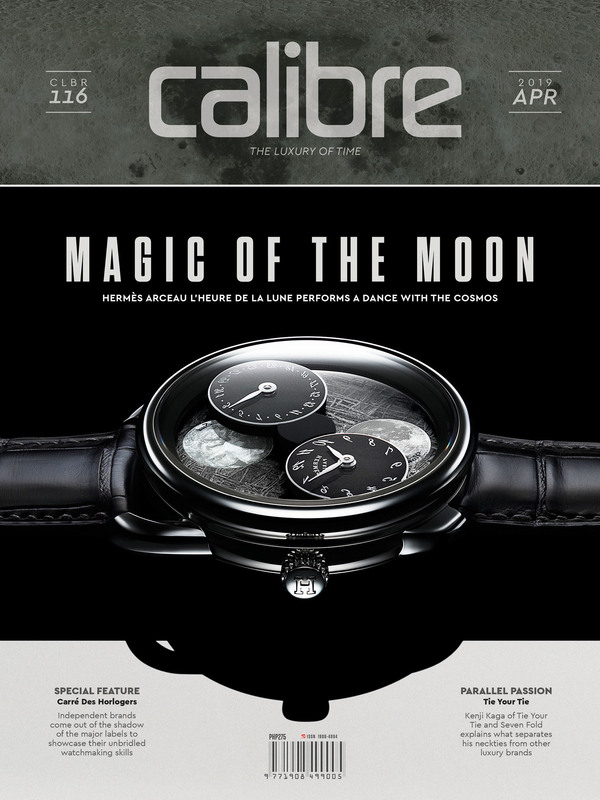 The self-winding calibre to which it attaches has 32 jewels, spins at 28,800vph and stores power good for 46 hours. It reads out the world time function via a tidy 24-hour scale track with day and night indicators — good for traveling the world across the skies.